The DirtyBird will feature an Aerial Tram ride to the top of Hidden Peak, 3,000 feet of descent over 5.5 miles of downhill terrain, 15 unique obstacles, plenty of mud, and THE LONGEST SLIP &apos;N&apos; SLIDE IN THE WORLD. This thing will quite literally set records. There will also be an après party with live music at the finish line. Snowbird has partnered with Subaru, Dos Equis, Visit Salt Lake, and Operation Gratitude to host the DirtyBird. Event organizers recommend that you be able to walk at least 10k in order to finish the race—all the obstacles are definitely surmountable, but this is a mud run, not a cakewalk. Participants must be at least 16 years old, and those under 18 require a guardian. Don&apos;t miss out on the fun this Saturday, July 11 at 9 a.m. Meet at the Snowbird Center, and plan on being part of some record-breaking action, getting good and dirty, and leaving with a big, ridiculous smile on your face. You can register now &apos;til July 10 for $85. Day-of registration will be available for $100. 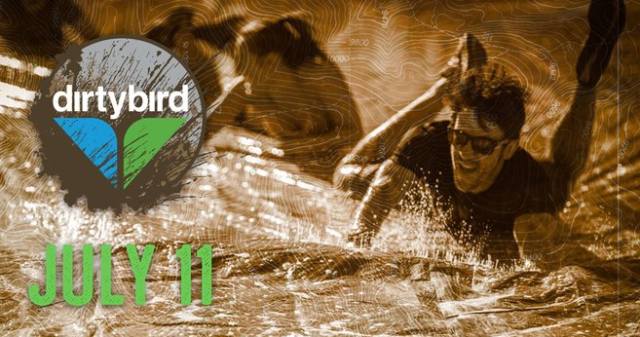 Registration and additional information is available at www.thedirtybirdmudrun.com.